I was ready to accept customer quilts in mid-April. And about that quickly I had 3 quilts from a friend to finish. Two of them are baby quilts. Here is one I have permission to post. 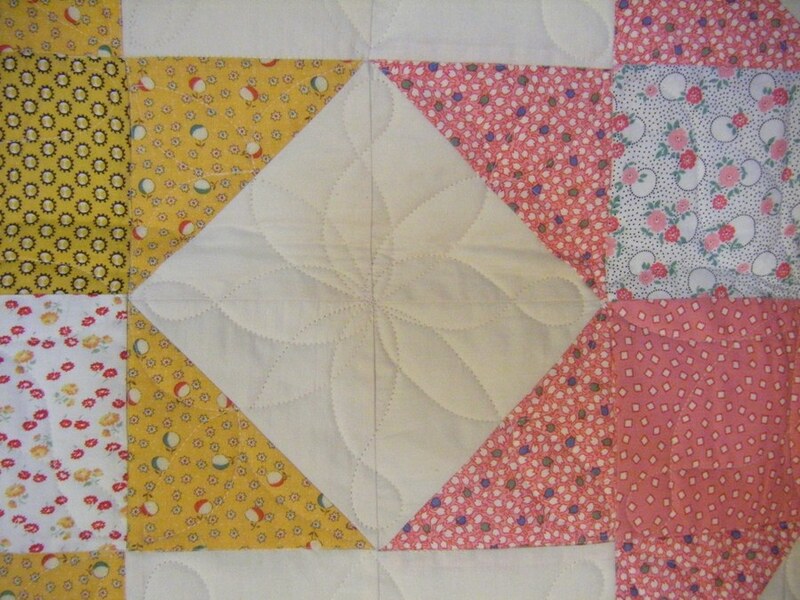 She used a variety of 1930’s prints for this crib quilt. 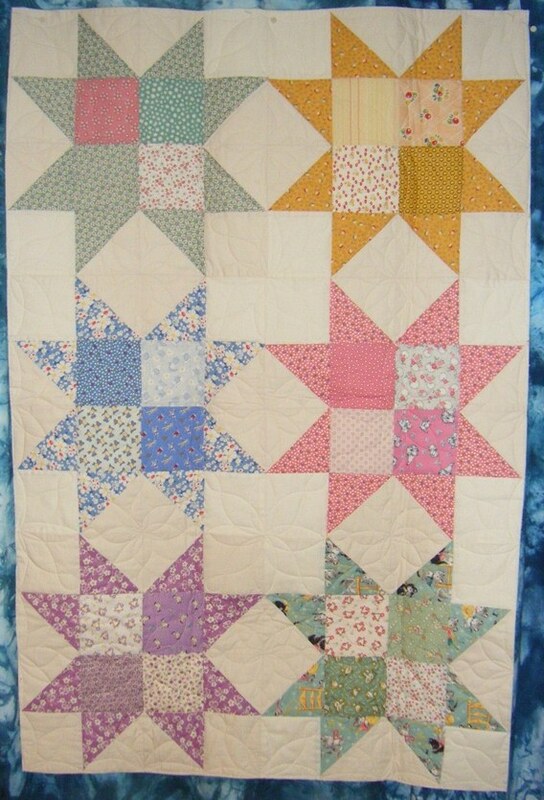 I quilted with a basic custom design adapting it to fit the blocks, the spaces between the blocks, and the edges. Superior’s So Fine thread blends so well with the reproduction fabrics! This quilter is fantastic with getting bindings on so I’m sure her quilts are already finished. I’m going to love this online quilt show!